The hypothesis that gravitational effects of planetary bodies can cause orbital perturbations that periodically vary the geographic distribution of incoming solar radiation, and so act as an external forcing mechanism on the Earth’s climate, was discussed in section 2.5.2. 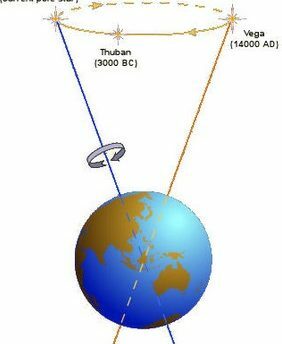 These Milankovitch Cycles include the Precession of the Earth (with periodicities of 19 and 23Ka), the Obliquity or tilt of the Earth’s axis (41Ka) and the Eccentricity of the orbital ellipse (100 and 413Ka). In a landmark paper, Hays et al. (1976) clearly demonstrated the existence of spectral peaks in the proxy ice volume record from a sediment core from the Indian Ocean that matched the significant Milankovitch periodicities (Figure 2.2). Also apparent in the record was the fairly consistent phase relationship between insolation, sea surface temperature and ice volume; each preceded the next by about 2 to 4Ka. Somewhat more puzzling, however, was the evidence that the 100Ka contribution to the total variance of the record far exceeded that expected a priori from a simple linear relationship between insolation and ice volume. Of the three orbital periodicities, eccentricity has the least potential as a climate forcing mechanism. Nevertheless, its phase-locking with tilt and precession indicates a primary orbital influence on ice volume fluctuations (Imbrie et al., 1984). To complicate matters still further, the strength of the 100Ka cycle has not been constant throughout the Pleistocene Epoch. Distinct cycles of 100Ka duration are only present for the last 700Ka. 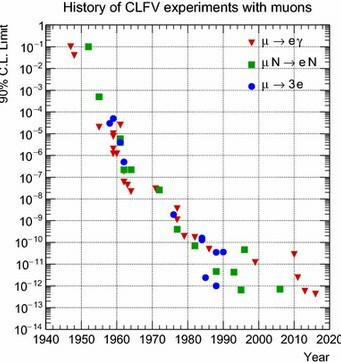 Before this time, fluctuations with a periodicity of about 40Ka (obliquity) seem to dominate (see Figure 5.9). During the last two decades, a number of modelling studies have attempted to explain the relationship between astronomical forcing and climate change, and to reproduce some of the wealth of geological evidence that supports the Milankovitch hypothesis. Most of these studies have been motivated by the recognition that the amount of insolation perturbation associated with the 100Ka cycle (eccentricity) is insufficient to cause a climate change of ice-age magnitude. Two different modelling approaches are evident. The first considers that ice volume changes are primarily driven by orbital forcing. Imbrie et al. (1984) demonstrated that at the 23Ka and 41Ka periods, ice volume (as measured by 18O) responds linearly to orbital forcing. At 100Ka the effect is non-linear. 100Ka power in the frequency spectrum (see Figure 2.2) is generated by transmission of the 19Ka and 23Ka frequencies (precession) through a non-linear system (Wigley, 1976). The non-linearity of the climatic response is most evident at the terminations of glacial episodes, with a rapid transition to the interglacial state (see Figure 5.10 and Figure 5.11). 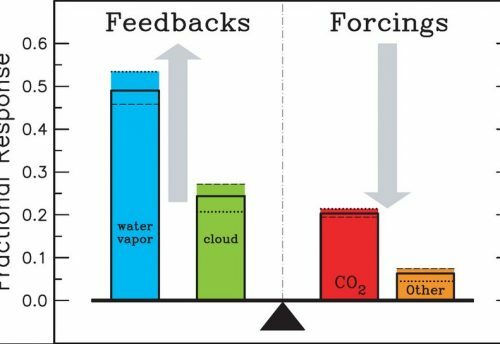 To explain such rapid transitions, internal climatic feedback loops must be inferred. An entirely different approach to modelling the 100Ka climate variability involves the hypothesis that glacial-interglacial fluctuations are the consequence of non-linear internal interactions in a highly complex system (Nicolis, 1984; Saltzman, 1985). In this situation, ice volume fluctuations are modulated, rather than driven, by orbital forcing. 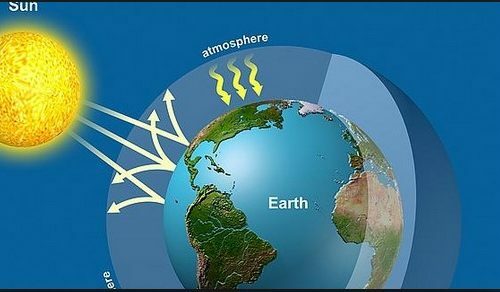 Quasi-periodic fluctuations within various components of the climate system (e.g. variations in CO2, ocean circulation, surface- and deep-water temperatures) are phase-locked to the changes in insolation due to the 100Ka cycle. Whether climate change is driven or modulated by orbital forcing is as yet unresolved. Nevertheless, it does appear that the astronomical signal in some way interacts with “internally” generated climate change. Indeed, it is clear a priori that insolation changes associated with orbital variations are alone, not sufficient to account for the Pleistocene glacial-interglacial transitions (e.g. Hoyle, 1981).